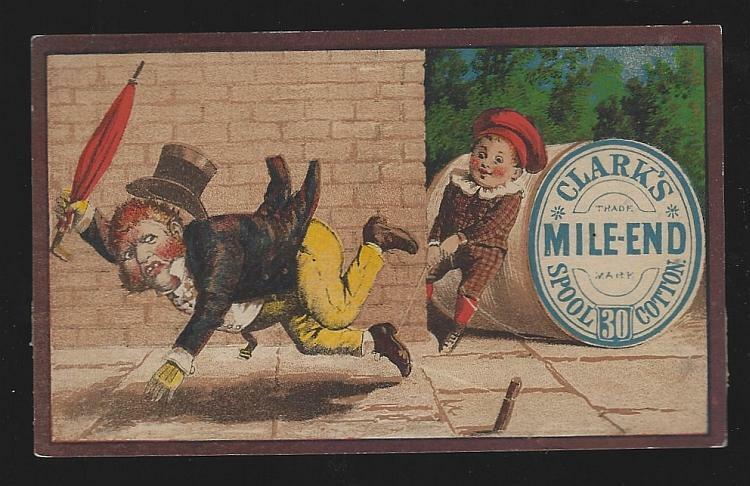 Victorian Trade Card for Clark's Mile End Spool Cotton. On the Front of the card is Little Boy Tripping an Old Man with a Piece of Thread. 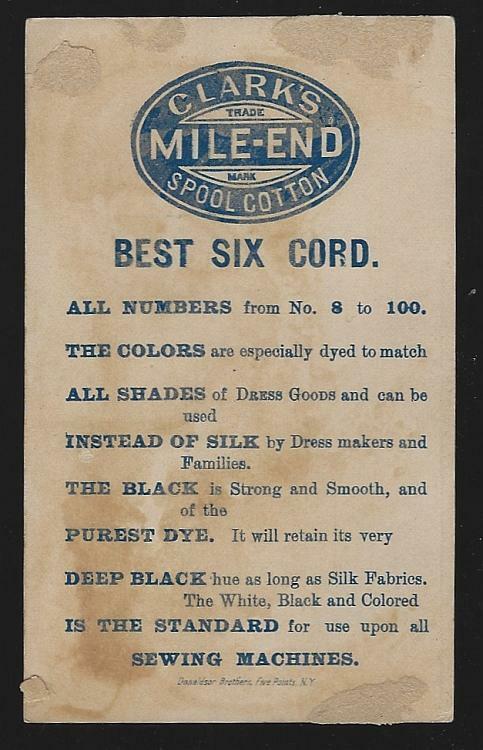 Back of card has information for Clark's Mile End Spool Cotton. Card is 2 3/4" high and 4 1/2" across. Card is in good condition, slight wear at edges, back is yellowing, glue stain on back. Items Similar To "Victorian Trade Card for Clark's Mile End Spool Cotton with Boy P..."
Victorian Trade Cards Clarks Thread Boy on Hands 1800.